SIS Digital has taken the wraps off Derby's only full motion LED screen. The digital LED media screen is on The Riverlights, where occupiers include Premier Inn, Holiday Inn, Genting Casino, Bustler Market and Gym City. 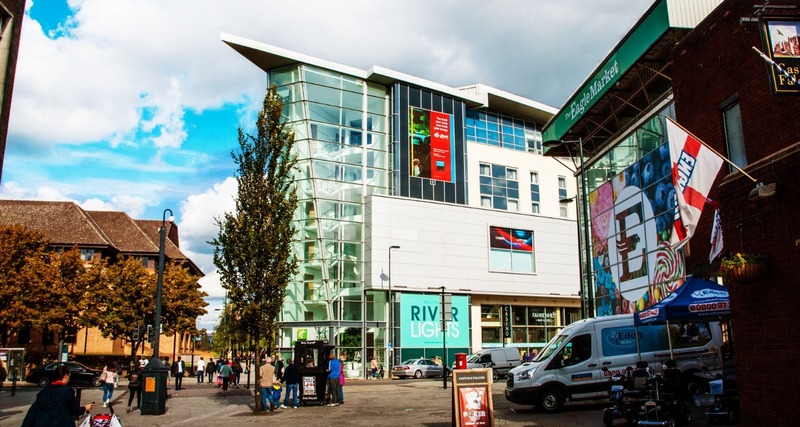 The screen is highly visible from East Street, one of Derby city’s most popular pedestrian walkways and has been installed by SIS Digital on behalf of building owners, Moorfield Real Estate Fund III. The new screen, measuring 4.8m wide and 6.8m high, has inbuilt wireless and nearfield capability. It boasts up to 8,000 NITS (Network Integration Transmission Services) of brightness, ensuring the images are displayed perfectly, even in the brightest of sunlight, whilst the 10mm SurfaceMountedDevice (SMD) LED panels incorporate full motion smart screen technology, with fully remote diagnostics. As well as being the only full motion screen in Derby, it is also the only screen in the large format digital roadside category. SIS Digital is the largest integrator of digital signage in Europe. It provides full turnkey solutions, covering design, planning permission, manufacturing, sourcing, content production, content management, installation and maintenance. Behind almost 70% of all digital roadside screens in the UK, SIS Digital has extensive experience in sectors such as retail, hospitality/QSR, leisure, sport, property, automotive and outdoor advertising. Clients include bluechip organisations such as Subway, Transport for London, Audi, M&Ms, Harry Ramsden’s and Clear Channel. Andrew Simister, UK Sales at SIS Digital, said: “Even though we have installed a number of screens in Derby, the completion of The Riverlights is a key moment for the city, with its first full motion LED screen sitting right at its heart.